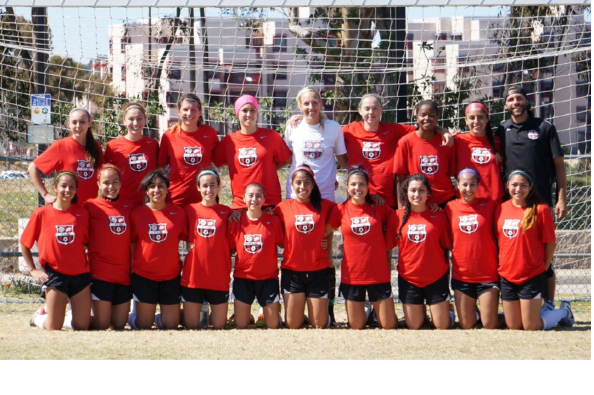 The West Coast Soccer Association is proud to announce the Cal State Northridge Women's Club Soccer Program as Team of the Week!!! CSUN defeated Cal Poly 2-1 this past weekend. Cal Poly came out strong the first half and dominated the first 10 minutes of the game but CSUN came back and scored a goal within the first half off a buildup break away. Vanessa "smalls" Quintero scored the goal giving CSUN a 1-0 lead at half time. Second half Cal Poly came out strong and scored off a corner kick with a header from one of their players tying the game up. Last 15 minutes of the second half CSUN comes back with a through ball up for Smalls again where she scored to end the game with a 2-1 win for CSUN.